The Clerk to the National Assembly (CNA), Mr. Mohammed Sani-Omolori, has blamed the picketing of the National Assembly by members of the Parliamentary Staff Association of Nigeria (PASAN) on the non-release of the 2018 budget. Omolori, who spoke with National Assembly media correspondents in the heat of the Tuesday protest, said it is not in the powers of the legislative arm to facilitate the payment the workers are agitating for. 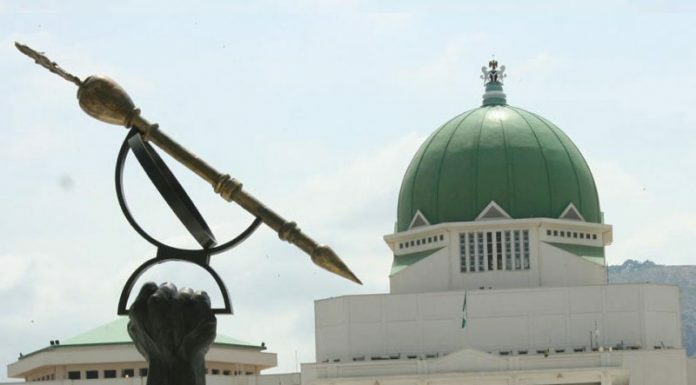 PASAN made good its threat to picket the National Assembly for the non-payment of outstanding salaries and allowances of its members by sealing off the Senate, House of Representative chambers and sending lawmakers back when they arrived for legislative duties on Tuesday. Reacting to the development, Omolori said: â€œI still insist that they need to be a bit patient with the system. Like I said in my reply to them, in an unprecedented manner, the presiding officers acceded, without hesitation to their requests for this increment. It was bargained with them and they captured it in the budget. According to him, â€œIt is a matter that has been on for some time now and we have tried to explain to them; we approved salary increase for them which was captured in 2018 budget but as it is today, it is a common knowledge that the level of implementation of the 2018 budget, especially the new addition to the National Assembly, which has not been implemented â€“ that is where we had hoped that the addition would be paid. â€œSo, to the extent that the money has not been released there is no way we can make the payment.